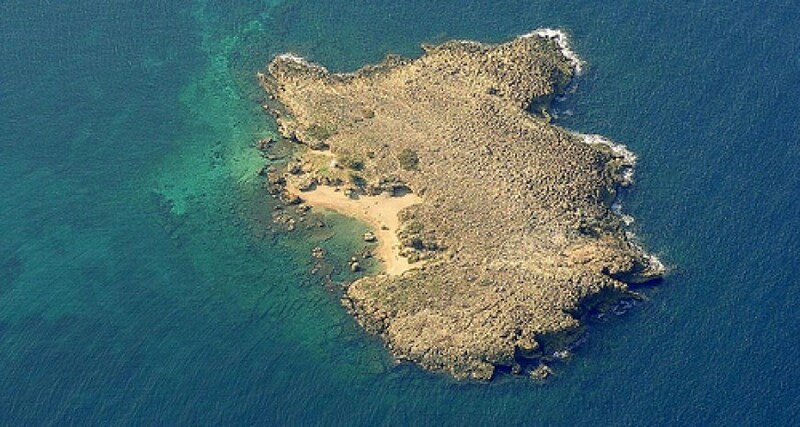 The islet Lazaretta is located opposite Nea Chora and in the 17th century was used by the Venetians as the leprosarium island of Chania, like most islets off cities of Crete. Its name is taken after Lazarus, the patron saint of lepers by the Roman Catholic Church. Graves have been identified, apparently of patients, while we still discern the foundations of buildings demolished by the Turks in 1645 to place a large cannon to aid in their attack of Chania's stronghold at the mouth of the harbour. In some places you will see metal fragments from bombs that fell during military exercises of the Germans during the Second World War. The island hosts a shrine of St. Nicholas built by a local in 1954. This man suffered sunstroke on the island but managed to swim to Nea Chora and save his life. On the island there is a small sandy beach ideal for snorkeling currently visited by the local diving schools and sea excursion boats. In the 1950s long distance competitive swimmers used Lazaretta as a start point when racing - Chania inner harbour was the finish line.